Yesterday at approximately 1:00 PM, the Sheriff’s Office received a report of a robbery that had just occurred at the El Dorado Savings Bank, located at 4060 Coach Lane, in Cameron Park. 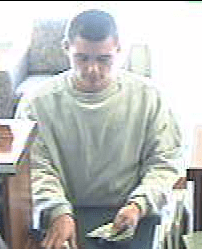 The bank robbery suspect has been identified as Mark Spier, a 19 year-old white male that is between 5’07” and 5’10” tall with short brown hair and brown eyes. He was clean-shaven at the time but has facial acne. He was last seen wearing red basketball shorts with a white design near the knee, blue shoes and a white t-shirt. 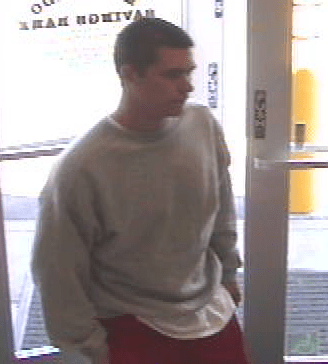 The depicted light grey long sleeve sweatshirt in the below photo has been recovered. Spier is known to frequent the Cameron Park area. An active arrest warrant has been issued for his arrest. 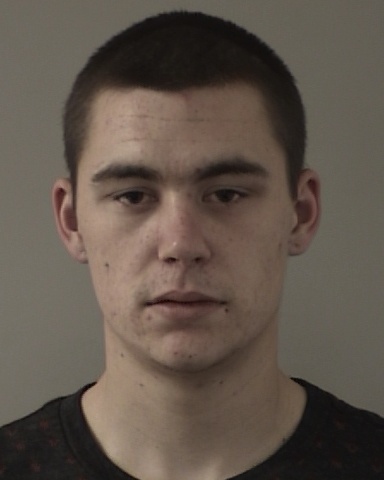 Any information regarding Spier’s whereabouts can be relayed to El Dorado County Central Dispatch at (530) 621-6600.